Nevertheless, the Court of Justice has not recognised these Decisions as part of the EU treaties. This is understandable because they were not agreed and ratified in the same way. The Court referred to the Denmark Decision in one case (Case C-135/08, Rotman in 2010) where it said that it “had to be taken into consideration” as an instrument for the interpretation of the Treaty, but nothing more than that. Reflecting this reality the Draft decision now states that it is merely a “clarification” which “will have to be taken into consideration as being an instrument for the interpretation of the Treaties”. It also notes that a future treaty amendment will incorporate the “substance” of the section on economic governance, presumably following further intergovernmental negotiation. So it is clear that this is not a formal amendment of the EU treaties under the EU’s own legal order. Under the Vienna Convention, however, there is a third possibility. The UK Decision may well be an agreement which is not a treaty, but may still be legally binding in the sense of being relevant to the interpretation of a Treaty under Article 31(3) as a subsequent agreement between the parties regarding interpretation (and obviously not under Art 31(2) in the “context” of the conclusion of a treaty, for there is none here). Such agreements are admittedly rare events but are clearly possible. It is in this spirit, I think, that the Court of Justice considered the Denmark agreement in Rotman as merely relevant to interpretation, but not part of the treaties. Such an interpretive agreement does not amend, by definition, the rules it is aimed at interpreting. 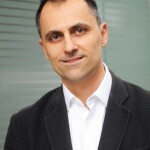 Pavlos Eleftheriadis is a Fellow of Mansfield College at the University of Oxford and a barrister at Francis Taylor Building. This entry was posted on February 13, 2016 by Constitutional Law Group in European Union, International law, UK government and tagged EU renegotiation, European Council, European Union Referendum Act 2015, Referendum on the European Union, UK EU Referendum.